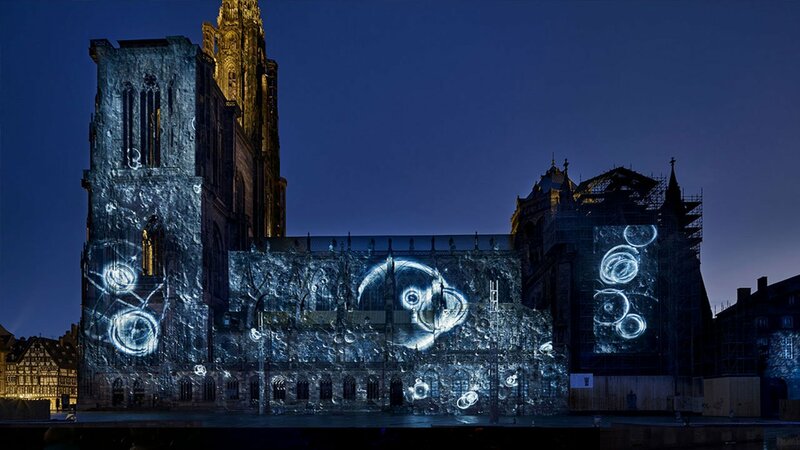 Projection mapping has become a very popular artform. Modulo Pi’s solutions make it a fast, efficient and cost-effective process and offer all the tools required to make the most breathtaking productions. Our easy-to-understand playlist feature considerably facilitates show running management for end users. Servers are autonomous and can play your show automatically once it has been encoded. The remote doesn’t have to be connected, and your show can be synchronized on MTC or LTC timecode. Save time when mapping and warping large surfaces using our X-Map feature. Multichannel audio processing allows each channel to be controlled independently. Get the best picture quality on large video walls when playing uncompressed TGA and 10-bit DPX sequences or Apple ProRes files. Optimize your workflow with creative studios by working with ProRes media files. Create custom made user panels, use them on any type of computer (PC or mac) or mobile device (IOS or Android). With our easy Show control: turn on/off your entire setup, automatically start and stop your show with the device of your choice, such as calendar, midi, OSC, GPIO. Import the 3D model of the building and use Kinetic’s multi-user 3D calibration process.